Amazing opportunity in Rosemont. Easy walk to two metros from this light and bright stone front town home. Main level excellent for entertaining with easy flow between living/dining room and kitchen with access to deep fenced backyard with patio. Oversized master bedroom with furniture nook and two closets. Bonus second bedroom. Full unfinished basement perfect for storage or ready to be finished by new owner. Open Sunday, 1/27, 1-3. SchoolsClick map icons below to view information for schools near 8 1/2 Masonic View Ave Alexandria, VA 22301. Home for sale at 8 1/2 Masonic View Ave Alexandria, VA 22301. 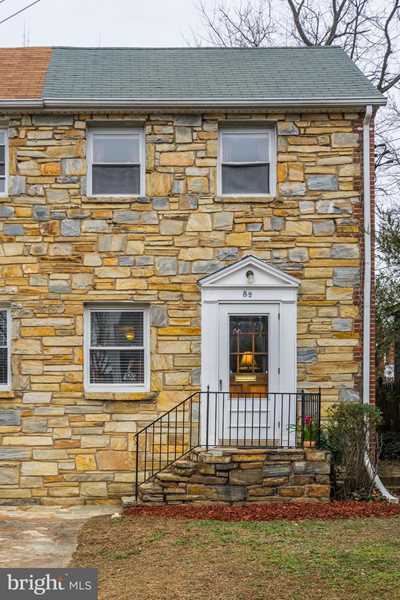 Description: The home at 8 1/2 Masonic View Ave Alexandria, VA 22301 with the MLS Number VAAX192864 is currently listed at $565,000 and has been on the Alexandria market for 84 days. You are viewing the MLS property details of the home for sale at 8 1/2 Masonic View Ave Alexandria, VA 22301, which is located in the Rosemont subdivision, includes 2 bedrooms and 1 bathrooms, and has approximately 864 sq.ft. of living area.